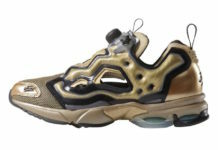 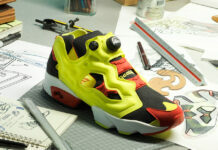 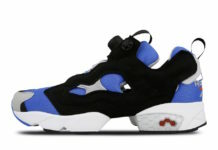 The statement we made about every company that collaborates with Reebok uses the Insta Pump Fury holds strong as yet another partnership has leaked. 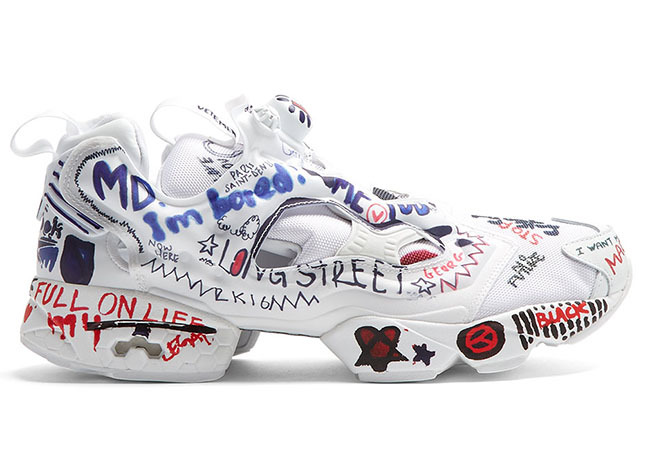 This time around, Vetements joins the brand which will release the Vetements x Reebok Insta Pump Fury. 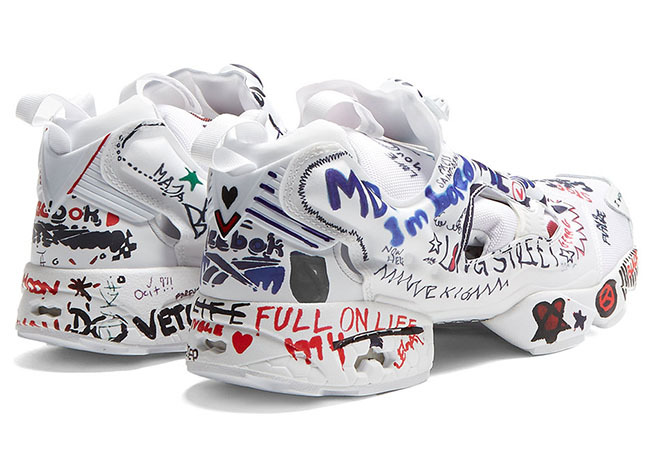 Vetements collaboration using the Reebok Insta Pump Fury almost looks like something you could do at home. 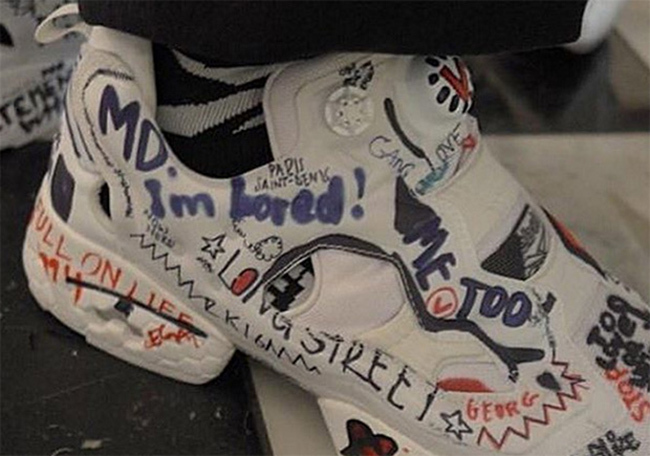 As you can see, they feature an all White base, however what brings this pair to life is drawings and hand writing all over which appears to be done with a marker. 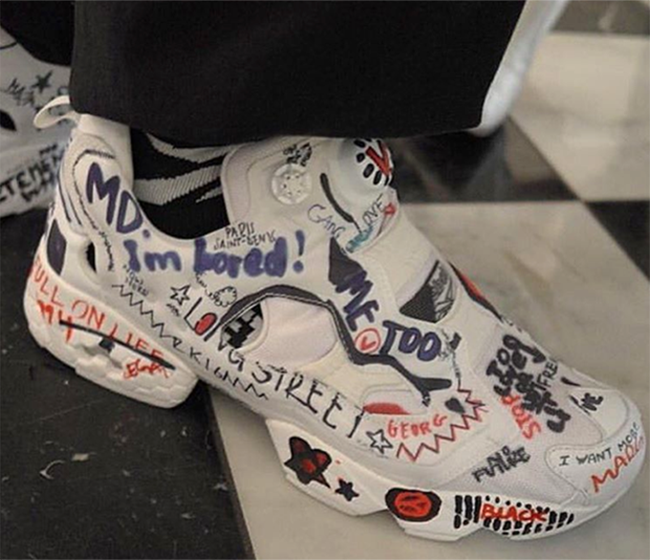 Vetements who is known for creating metal and punk themes achieves their look nicely throughout. 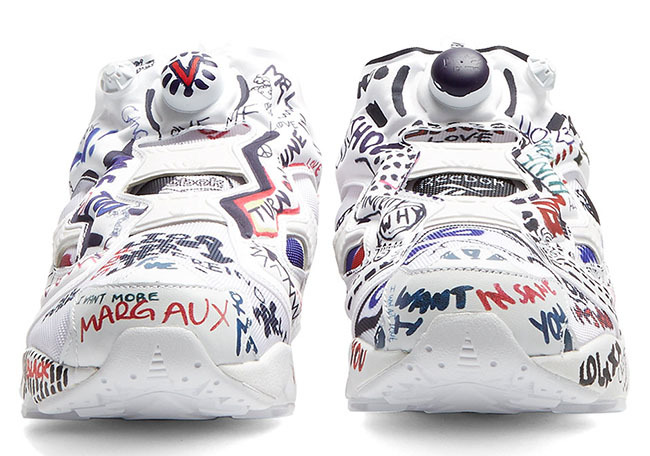 Below is a full image of the upcoming Vetements x Reebok Insta Pump Fury Doodles collaboration. 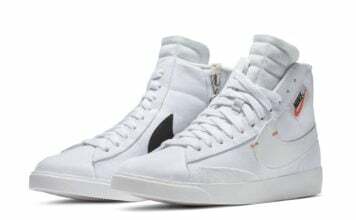 At the time of writing, a release date or retail price has yet to be announced, but make sure to check back with us for more updates. 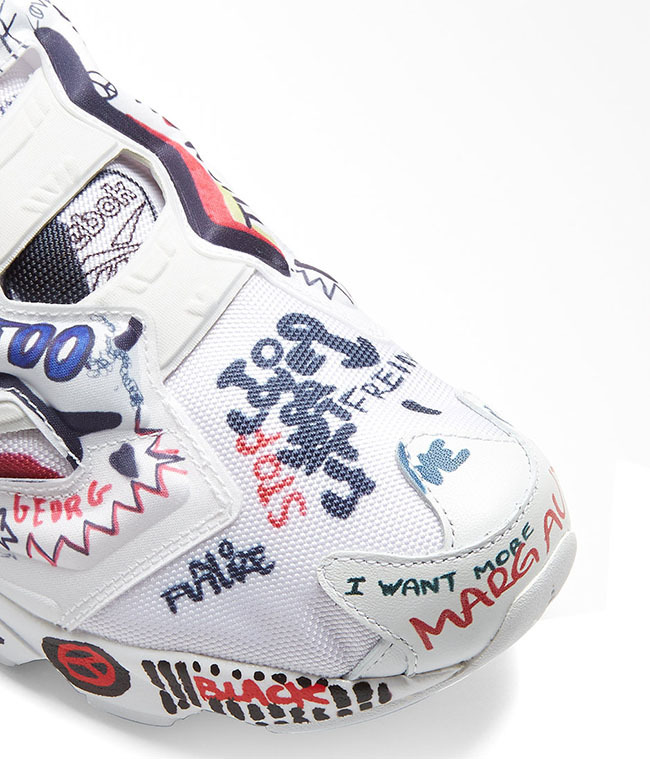 Let us know what your thoughts are on this collaboration below. 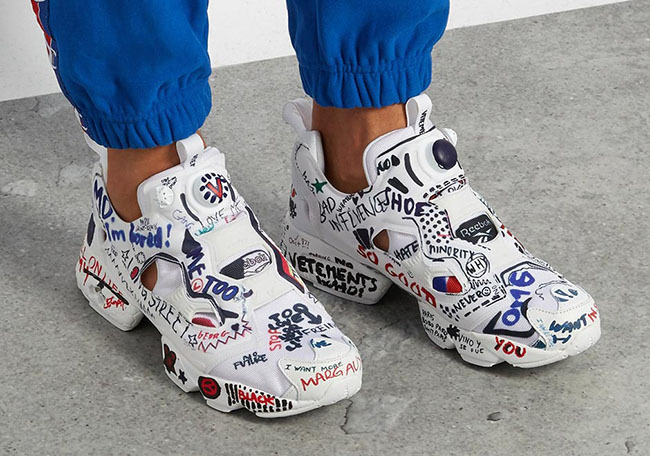 Update: More images of the Vetements x Reebok Insta Pump Fury has landed which will be available at select Reebok retailers soon.